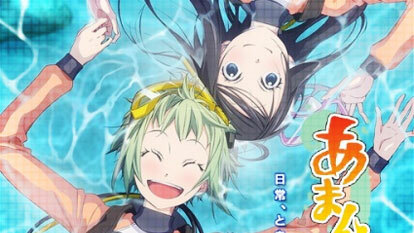 Hikari Kohinata is a cheerful 15-year-old girl who lives near the ocean and she spends much of her time diving as a result. On her first day of high school, she meets a teacher who also likes scuba diving. There's also a 16-year-old classmate, Futaba, who gets dragged along in Hikari's maelstrom as soon as they meet at school.